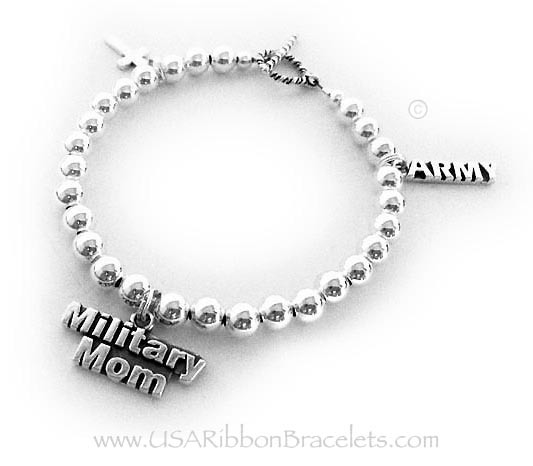 Bracelets show your pride in the usa flag, spirit and men and women who serve our great country. 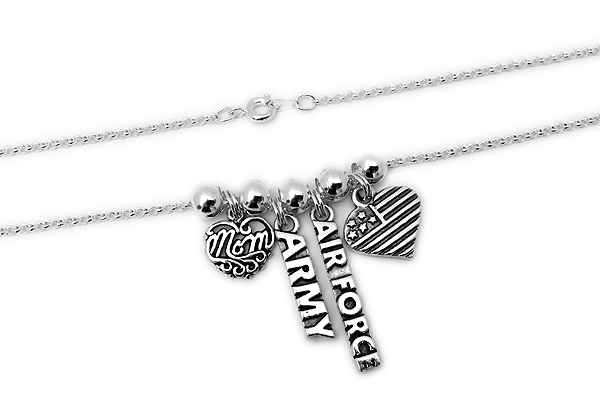 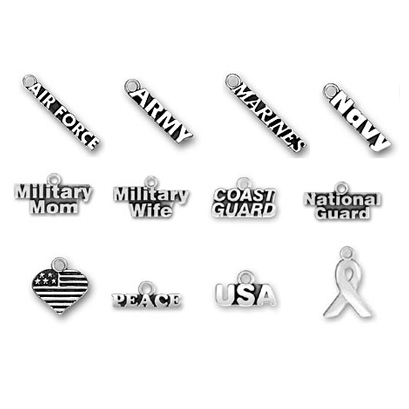 Show your spirit with a military charm bracelet, necklaces, earrings, key chains, car charms and more. 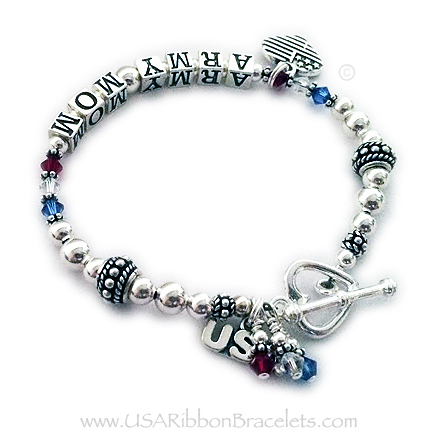 Most of our patriotic bracelets and necklaces comes with a ribbon or a USA flag charm. 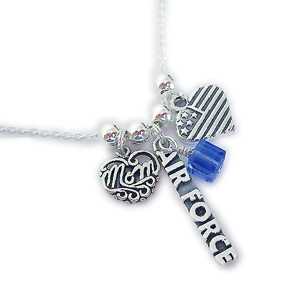 I also have picture frame charms that you can put 2 pictures of your loved one in! 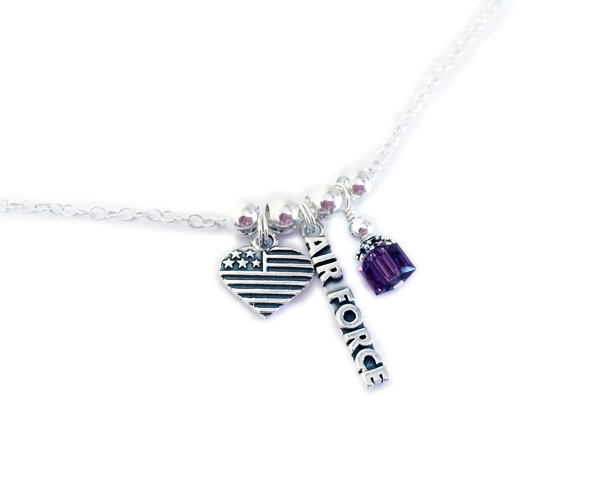 All the things you see in my personalized jewelry store are handmade jewelry pieces designed by Leigha Montigue Bitz, a custom jewelry designer. 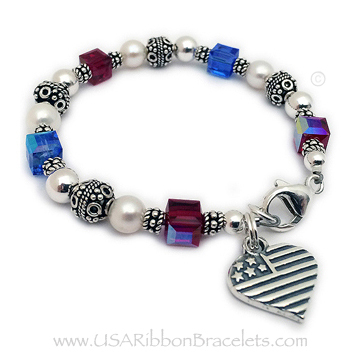 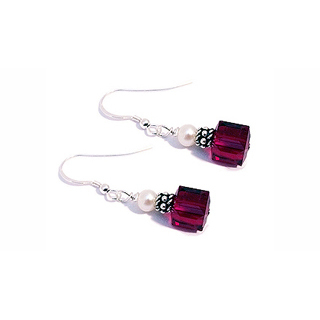 Red White & Blue Dangles by the clasp. 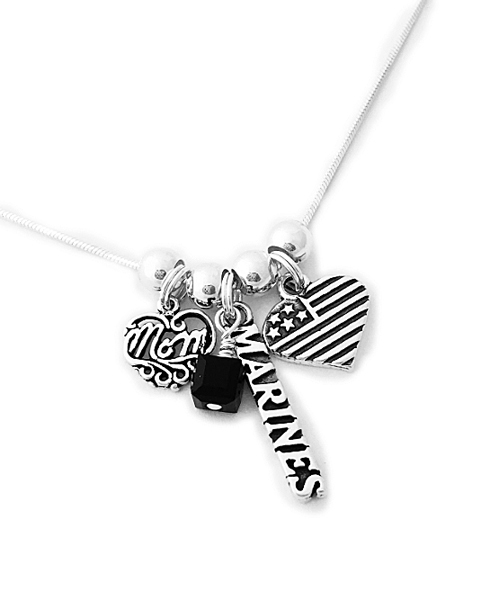 You may add as many charms to this necklace as you would like.